Floofer is a kitty. 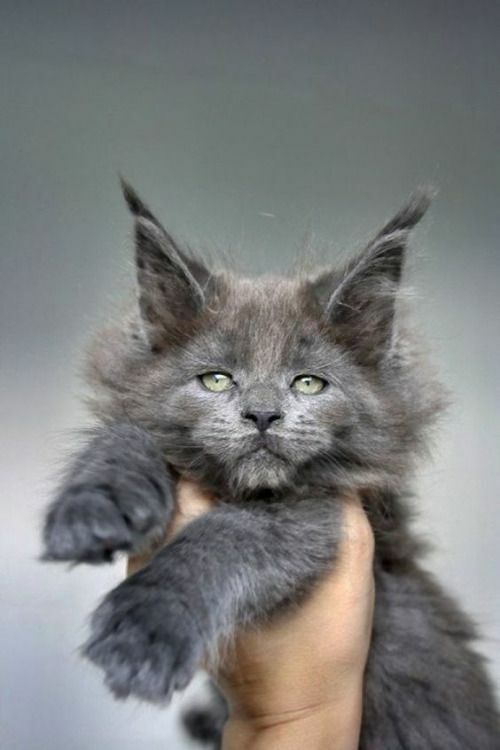 A really, really big grey, kitty. are related. Most of the Brimstones are black, sassy, and and quite adept at being dangerous. Floofer is a lover. He's sassy and loves to play but give him one hug and he'll melt in your arms. He's easily the size of a horse and very floofy indeed. He might not have a mean bone in his body but he will defend his farm and family.